Last week was a personal retreat week for me. Instead of going away to the coast like I usually do, this time I stayed home. Ken was gone for a week and I had no appointments, commitments, or visitors expected, just the normal schedule of work. At first, I thought of all the work I could catch up on. The writing notebooks sitting idle, the new projects outlined but waiting for the next spark, the lists of loose ends needing a neat tie-up. But then, I felt something else stirring inside: the anticipation of silence. The promise of solitude is like an elixir to me - a sweet ambrosia for the spirit. I knew right away what this week was meant to be for. For the bliss of just being, following my natural rhythms, seeing what would arise without pre-planning. And that's exactly what happened. I slept when I wanted, ate when I was hungry, read for endless hours, wrote in my journal, walked new routes, pulled out the yoga mat, watched almost no television, stayed off the computer. I greeted each day with an open heart and willing spirit. I returned to a meditation practice that had been calling me back - just sitting, watching the breath, opening the heart. Slowing the body, the mind, the pace of life, I lost the urge to be busy, to feel I had to accomplish things. I turned more of my attention to the world of moving clouds, morning light, flowers aching to bloom, to birds and breeze. The beauty of the world is always there, but what joy to interrupt the distractions and give the newly budding and blooming landscape all your attention. The result is that I feel restored, recharged. Didn't realize how tired I was and off center. As the week progressed I was mindful of habits I needed to interrupt (TV for one) and new patterns I wanted to create (daily meditation - relax the body, slow the thinking, open the heart!). Love all the new brain studies confirming that our brains are malleable, that it's possible to lay down new pathways by creating new patterns. I'm going to test this out. 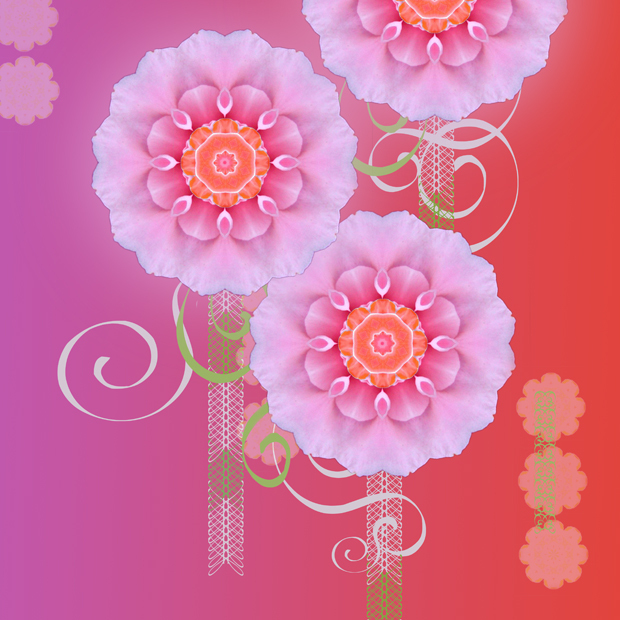 Witnessing the eruption of new life around me - the landscape aching to bloom, to show its colors - resonates inside me. I feel the hope of springtime, the earth restored and recharged after winter's gloom and dark. I'm aching to bloom and breathe in this new atmosphere of possibility. Image at top is a new sketch from a photo of a rose. 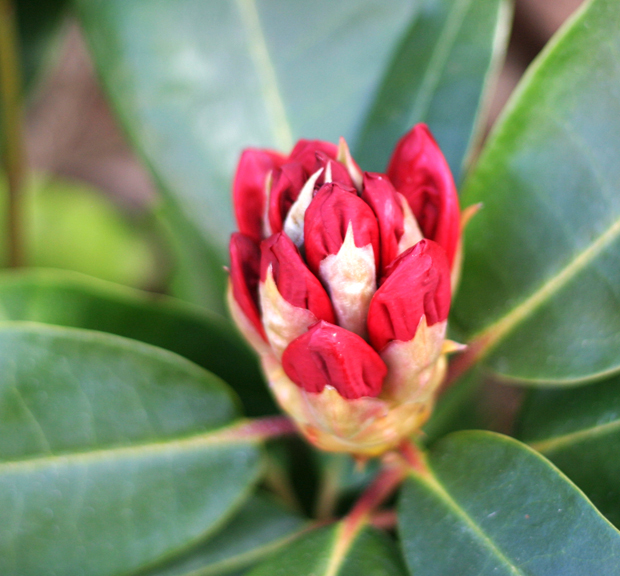 Bottom image is a rhododendron bud at Lithia Park.